One of the bigger hurdles to home solar, which is paying for the cost of installing the solar array, is getting a little lower in the San Francisco area, thanks to the revival of the Bay Area’s PACE financing program. The PACE, or Property Assessed Clean Energy, program (also referred to as municipal financing) allows qualifying home and commercial property owners to finance solar energy installations and energy- and water-efficiency upgrades on their buildings, by borrowing it for the up-front costs and repaying the loan as a line item on their property tax bills. In December, the City of San Francisco’s Board of Supervisors approved the authorization of three organizations to offer PACE financing in the municipality, which are HERO, CaliforniaFIRST, and AllianceNRG. By using PACE financing to pay for the costs of solar (or other home improvements that fall under the program’s purview), homeowners can essentially get the benefits and usage of a home solar array for no cash upfront, and instead pay it off over a 20 year period. The financing acts as a special tax assessment, not a true loan, so if the home is sold, the PACE property tax assessment remains on the property, as the new owner reaps the benefits and value from the original improvements. Bay Area solar can be a big win for residents, as they can take advantage of PACE for solar financing in conjunction with a number of other solar incentives, including the standard 30% federal tax credit, the San Francisco Solar Energy Incentive program (up to $7000), the California Solar Initiative rebates (somewhere in the neighborhood of $4500 for an average 4kW system), and the state’s Net Metering program (essentially the ability to sell back excess electricity to the grid). In order to qualify and participate in the PACE program, property owners do need to have “positive payment history” for their mortgage and property taxes, have decent credit, and have equity in the building. An energy efficiency audit is also required, which can identify ways to lower the overall electricity and energy demands of the building, and is always a good practice for anyone considering going solar at their home or business. The San Francisco PACE program, titled GreenFinanceSF, was originally developed and introduced about 5 years ago in Berkeley, but the city program was later halted after concerns from the Federal Housing Finance Agency about the potential for conflicts in the event of foreclosure (PACE loans are essentially attached as liens on the properties). To allay those concerns and reinvigorate the PACE program, California established a $10 million fund, which could cover any potential losses to the Housing Finance Agency’s Fannie Mae (Federal National Mortgage Association) and Freddie Mac (Federal Home Loan Mortgage Corporation) programs. 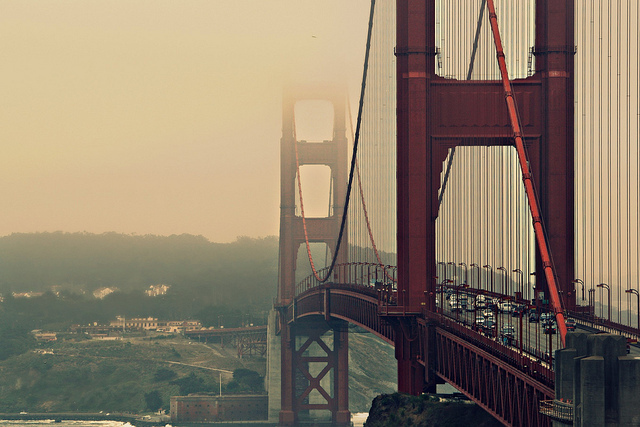 Find out more about the San Francisco PACE program here: GreenFinanceSF. Get your free no-obligation solar report today!